Big Ideas Fest is a unique three-day immersion into collaboration and design with a focus on modeling cutting-edge thinking in K-20 education. Big Ideas Fest's format includes RapidFire talks from leading innovators; interactive networking with education's movers and shakers; and Action Collab design-thinking labs that engage groups to brainstorm, prototype, and ultimately create scalable solutions to cumbersome issues in education. All education stakeholders are welcome. 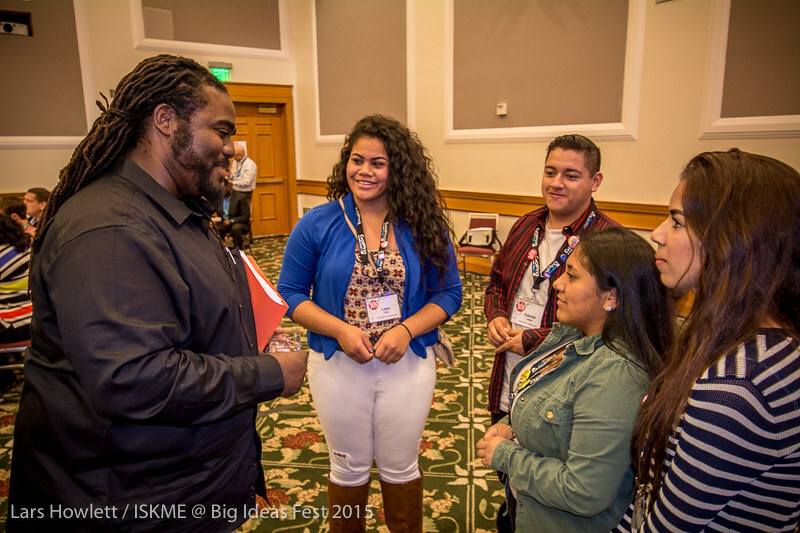 Big Ideas Fest convenes all education stakeholders in redesigning the future of education. ISKME's annual event brings together teachers, policy makers, researchers, eduprenuers, students, and funders who are championing the transformation of K-20 education. Big Ideas Fest believes answers and innovation are all around us. The event gathers top minds to share their work and ideas in an environment that encourages risk-taking and overall imagining of the impossible. Creative doers and thinkers from diverse levels of education gather to learn from and share with each other. Breaking down traditional silos in education and empowering champions, Big Ideas Fest places learning at the front and center of all that we do. Big Ideas Fest engages participants from the ballroom stage to outdoor fire pits, from the hallways to the parking lot roof and it’s all infused with activities that inspire and activate new ideas. The participants are inspirational. The work is dynamic. And the results are revolutionary. If you’re still wondering, “Why Should I Attend Big Ideas Fest 2016?” then read more here.